NCERT Textbook Solutions are considered extremely helpful when preparing for your CBSE Class 11 Physics exams. TopperLearning study resources infuse profound knowledge, and our Textbook Solutions compiled by our subject experts are no different. Here you will find all the answers to the NCERT textbook questions of Chapter 9 - Mechanical Properties of Solids. All our solutions for Chapter 9 - Mechanical Properties of Solids are prepared considering the latest CBSE syllabus, and they are amended from time to time. Our free NCERT Textbook Solutions for CBSE Class 11 Physics will strengthen your fundamentals in this chapter and can help you to score more marks in the examination. Refer to our Textbook Solutions any time, while doing your homework or while preparing for the exam. 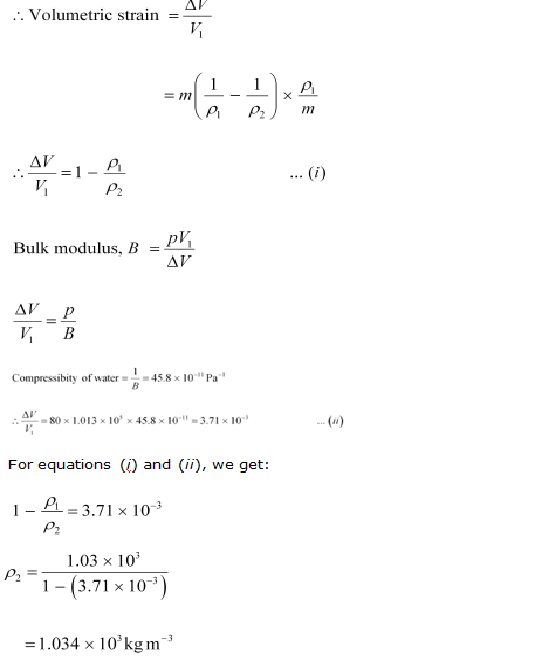 Therefore, the density of water at the given depth (h) is 1.034 � 103 kg m�3. TopperLearning provides step-by-step solutions for each question in each chapter in the NCERT textbook. 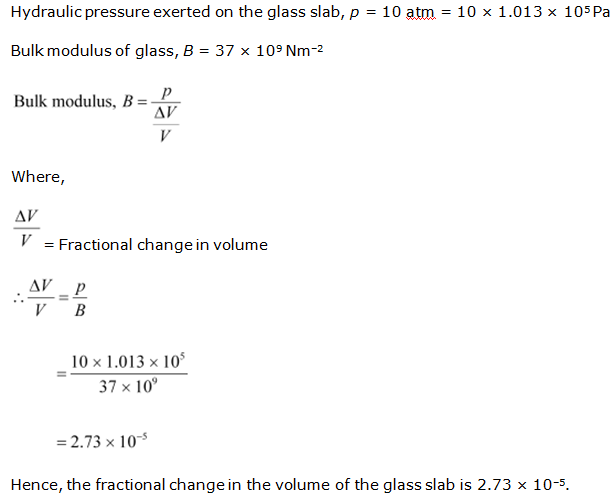 Access Chapter 9 - Mechanical Properties of Solids here for free.